Steve has designed and deployed data center solutions for 15 years including private clouds, virtual servers, and 99.999% uptime environments. 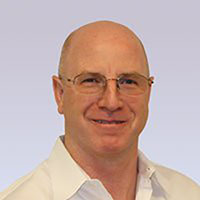 He has served as VP Technology for six Washington area organizations spanning in size from start-ups to Fortune 500 companies where he engineered each company’s data center solution. Most notably, he led engineering teams in the creation and operation of some of the most popular news and information websites including www.washingtonpost.com, www.newsweek.com, and the Smithsonian Institute’s website www.si.edu. Earlier, he worked for computer vendors SGI and HP where he was the Manager of Emerging Technology and a Unix System Engineer, respectively.